Get the latest information on all current offers and the Betfred Promo Code. Download the registration form thanks to the “sign up now” button found on the upper right corner of the website or mobile site. Fill in the data using your official names, email address, date of birth, username, and password among others. Answer the security question to safeguard your account. Enter the promo code to activate your account and benefit from the offers on Betfred. To be eligible, you must confirm that you are over 18 years of age and must abide by the terms and conditions of the bookmaker. After that, you can choose the most viable option for receiving the promotional product. Newly signed up punters will be treated to a welcome bonus worth 30€ after placing a minimum deposit of 10€. This offer is available to new customers only and it applies to all Sports covered by Betfred. After signing up, in order to benefit from this offer, the first bet must be placed at odds of Evens (2.0) or greater and once this is completed, the player can see the Free Bets credited to their account within 10 hours following the settlement of the first bet. In addition to this welcome bonus, you can enjoy several other offers. To qualify for this offer, Betfred offers a selected list of leagues and matches players can choose from. There are many bet type settlements to choose from with head consisting of a set of rules. The general rule is that a minimum of two selections and a maximum of five markets from a single match can be included in a PickYourPunt Builder bet with bets being placed as singles only. Once you have combined the markets you wanted and created your own scenario, you can notify the bookmaker through their twitter account using the hashtag #PickYourPunt. Betfred also offers an accumulator insurance, which is available on Betfred.com & Betfred Mobile. This insurance applies to 5-fold+ match result accumulators placed on the following leagues/competitions; English Premier League, Championship, League 1 & 2, National League, FA Cup, League Cup, EFL Trophy, Champions League, Europa League, Scottish Premiership, Scottish Championship, Scottish League 1 & 2, Scottish FA Cup, Scottish League Cup, Spanish La Liga, World Cup, European Championships, UEFA Nations League, International Friendlies, Germany Bundesliga, Italian Serie A, French Ligue 1, Dutch Eredivisie, Portuguese Super Liga, Coupe de France, Coupe de la Ligue, DFB Pokal, Coppa Italia and Copa Del Rey. With this offer, the minimum odds per leg are of 1/3 and it is important that 5-folds or greater must be placed prior to the start of the matches to qualify. For further details on the conditions of this offer, visit the Betfred website. For player interested in this game, it is possible to take a seat at Betfred’s exclusive Blackjack table and receive considerable wins. This promotion is valid for all of 2019 and is only available on the dedicated Betfred Blackjack game on Betfred Casino. Full T&Cs apply. The offers mentioned above are only meant for new entrants who place a minimum of 10 € in any game with 2.0 odds. These offers are restricted to football tournaments only and only pre-selected events by the team selected by Betfred. Submit the combination via Twitter within 5 minutes before the start of the event. The player will get 25 free spins after cashing the 5€ in any slot featured in the casino section. New punters must accept the offer and appreciate the matched bonus of the total amount of the bet which is normally between 1-25 €. The website will credit your account with a free bet balance of 30€ within 2 days of your first bet being offered. Use the free bets within 7 days. Alternatively, you can use 30€ a day after settling the qualifying bet. Q. How safe am I betting with Betfred? With strict regulation governing the industry in the UK, Betfred had to receive licensing from the Gambling Commission and issued another license Gibraltar where the main office is. Q. Which products can I expect from Betfred? One product that stands out from Betfred is the sports betting. From the live betting and promotions, Betfred has a variety of offers to cater to its different users. In addition, you have over 150 slots, table games, live casino and lottery at your disposal. Q. Does it offer a special promo code? New punters will be treated to a special promo code and earn up to 30 Pounds in free bets. Also, you can easily win 30 free spins in selected slots. Your job is to register an account and place a single 10€ bet on any tournament with odds of 2.00. Additional T&Cs. Q. How convenient are the withdrawals and deposits? With Betfred, bettors have many options to choose from when it comes to payment or withdrawal methods. To be discussed in detail below. With Betfred, you can be sure to enjoy sports betting including; football, horseracing, tennis, ice hockey, and greyhounds among others. It also caters for special tournaments such as the Olympics and World Cup. Whether it is slots, lottery or table games, Betfred has you covered. With over 150 slots powered by giant software providers, you can start getting used to free spins, bonuses, and jackpots worth over 10,000€. Betfred seems to ensure its payments methods are upgraded frequently to meet user needs. You have various methods to choose from when depositing your funds. They include debit/credit cards, e-wallet- Skrill, Bank Wire, Ukash, Neteller, and PayPal among others. Deposit a minimum of 5€ for other methods, 5.50 € for Neteller, while bank transfers require a minimum of 0.85€. Note: Anytime you transact with your debit/credit card, 2.9% will be charged as processing fees by your issuing bank and not Betfred. If you want a free of charge withdrawal method, then you should consider using debit cards. With it, you can withdraw as much as 10,000 Pounds. Expect a 2% service fee if you are using Neteller to withdraw a maximum of 4,000 Pounds. Nevertheless, Bank transfers are the only option that does not restrict you in terms of limits. You will need to wait only 3-5 days to get your cash. If you wish to withdraw in a shorter time frame, then you can choose the e-wallet since it is the fastest option. Guests can engage the customer care team through the live chat. Here, players can ask any question they require quick clarification and obtain immediate responses from the support team at Betfred. Though it takes slightly longer, email support is best if you want to make further inquiries. Use the official email [email protected]. Another possibility is to contact Betfred through their customer support phone line by dialing telephone number 0800 028 7747 for UK residents. International clients can use +44 (0) 1925 907500. 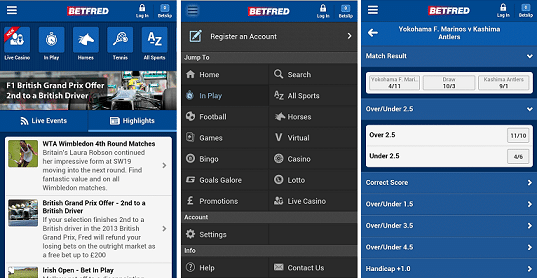 Betfred has created a mobile site that fulfills all the obligations any desktop version can offer. You can rest assured that all products such as bingo, lotto, and casino will be offered as long as you are using a reliable Wi-Fi or 3G/4G networks. If you want a faster and more convenient mobile function, then you need to use the app since it has been optimized for the device precisely. Betfred’s efforts to maintain quality offers as well as high-quality games cannot be ignored. Take a look at the promotions and offers, for instance. Not only are they inclusive, but they are also varied enough to suit all types of players. As a punter, you have quite a few options available where bookmakers and their respective apps are concerned. Choosing among a pool of bookies may prove challenging, especially for those undecided on what their preferences are. If that is the case, it is important to get a good undertaking on the options available, the promo codes offered and the potential for success. Having said this, the following will provide a basic summary of Betfred in order to shed some light on the main points to take into account when considering this bookie. Betfred has continued to provide its betting services since it was first launched in 1967 by the Done brothers- Peter and Fred. The company was started back when computers hadn’t changed the way the modern world operates. With time, they were able to conform to user needs and requirement as well as adapt to changing technologies. This was ensured by adding a mobile app two years after launching Betfred web operations in 2004. In 2010, Betfred struck a deal using the Betting Partnership Agreement with Wembley National Stadium to sponsor the Betfred World Snooker Championship until 2019. Based in Warrington, England, Betfred is a licensed operator whose affiliate is IBAS. Anytime you log into the site, rest assured that you are dealing with a responsible and fair company. Having said this, the following article will allow you to find out more about Betfred and what their website consists of in terms of promo codes, bonuses, mobile compatibility and quality of platform among others. Unlike Betfred, William Hill requires you to place a minimum wager of 10€ to get a 30€ free bet. With them, you can rest assured that over 60,000 football matches being aired throughout the year, will be at your disposal. You will also have the opportunity to bet using the competitive odds on North American sports available. That alone has boosted the soccer wagering margin by about 5.4%. Unlike Betfred, William Hill offers live stream option for football matches alone. Given the sport’s popularity, this option is sure to attract top tier players. With more than 540 games to choose from at Ladbrokes, including Blackjack and Roulette, you will get carried away by the unique graphical and sound features. What stands out from this bookmaker? You would ask. Well, it has one of the best horse bets you will ever want in a casino. Be prepared to receive information dealing with Premier League odds, bet In-Play on the latest odds. Since its formation in 1800, Ladbrokes features as one of Betfred’s top competitors since it generates about 62% of Betfred’s earnings. With it, you have so much to look forward to. 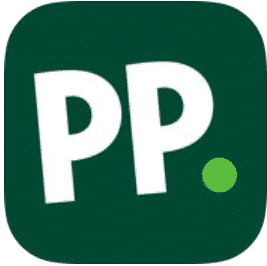 If you want a recognizable bookmaker in the world of gambling, then Paddy Power is what you are looking for. With a solid marketing campaign, they have managed to amass a solid base of player. A contributing factor to this is that it was launched back in 1988 as a result of amalgamation three Irish bookmakers. As for the welcome bonus, you will need to raise at least 20€ in a risk-free bet. Anytime you place it as your first bet on any Sportsbook market, you will get a full refund for your stake in cash. Like Betfred, Paddy Power offers the chance to enjoy the in-play betting through the main menu. Here, you will get a comprehensive list of the current events going on and upcoming ones. 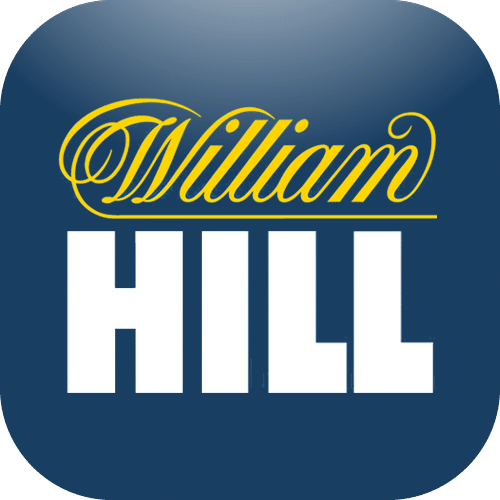 Validity date of Betfred Promo Code is until December 2019.